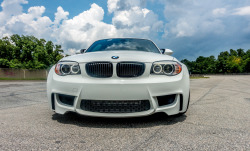 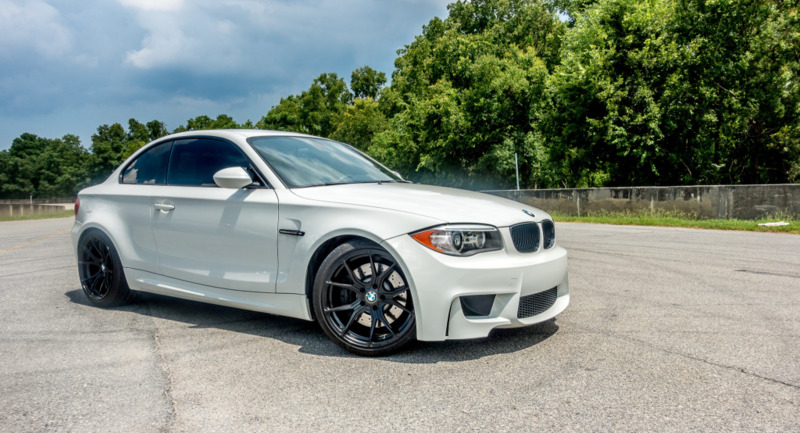 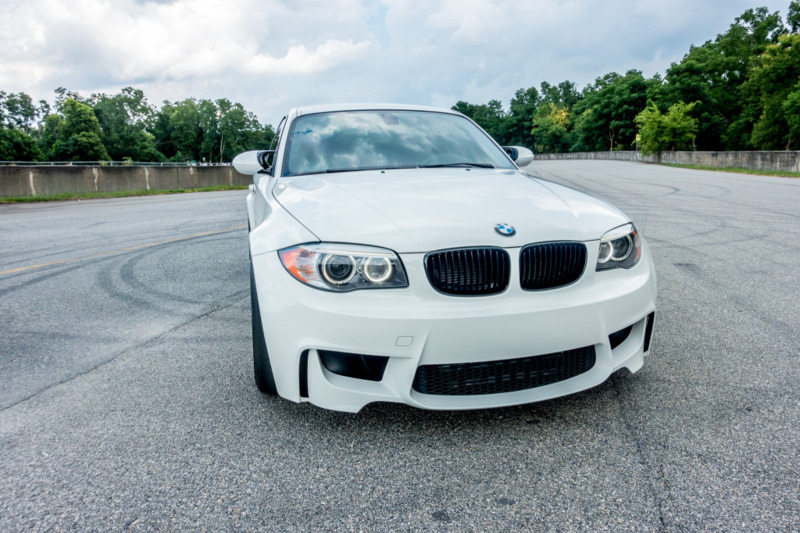 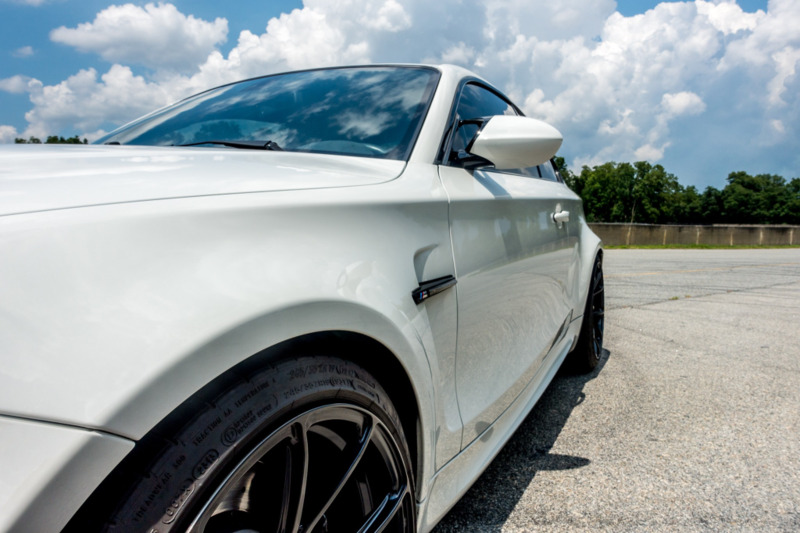 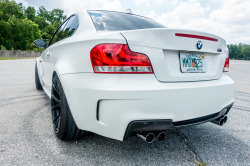 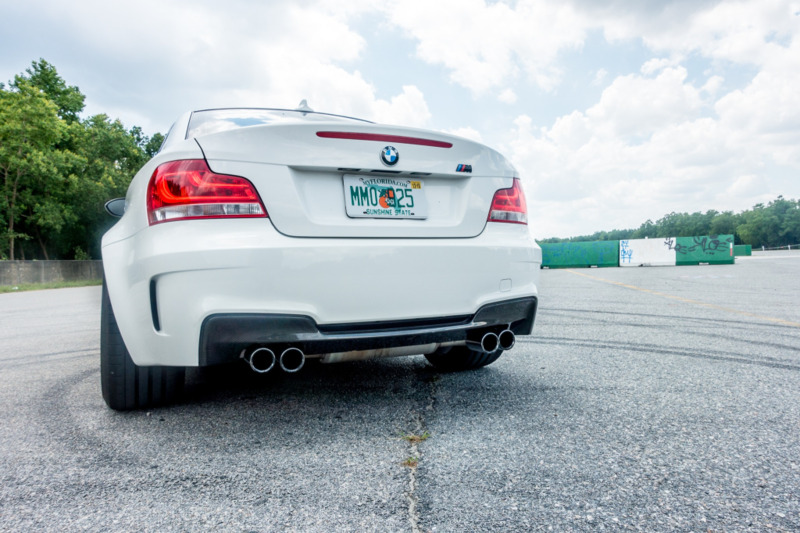 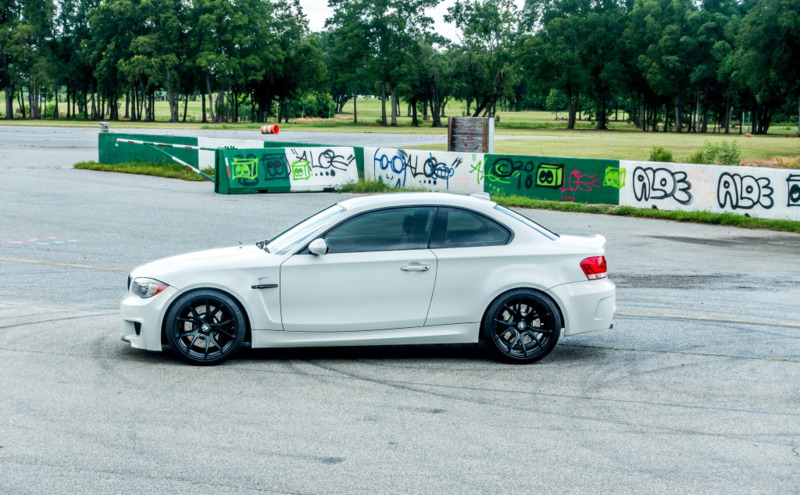 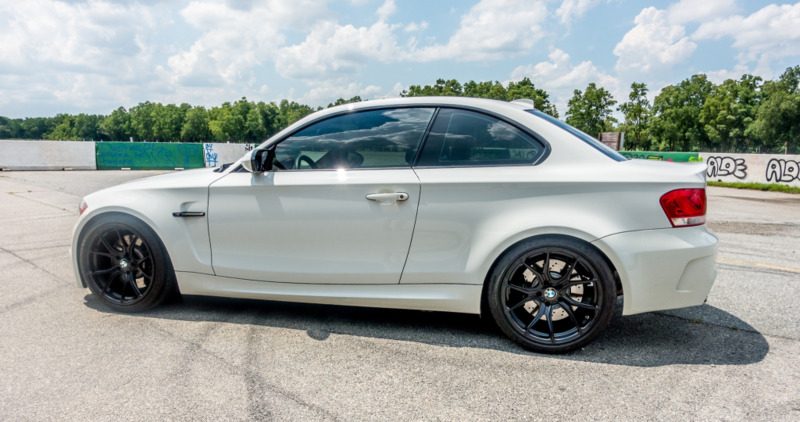 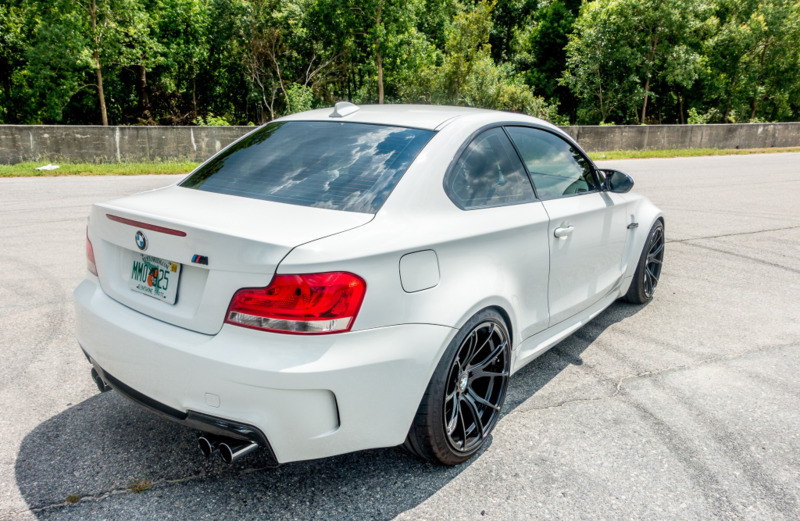 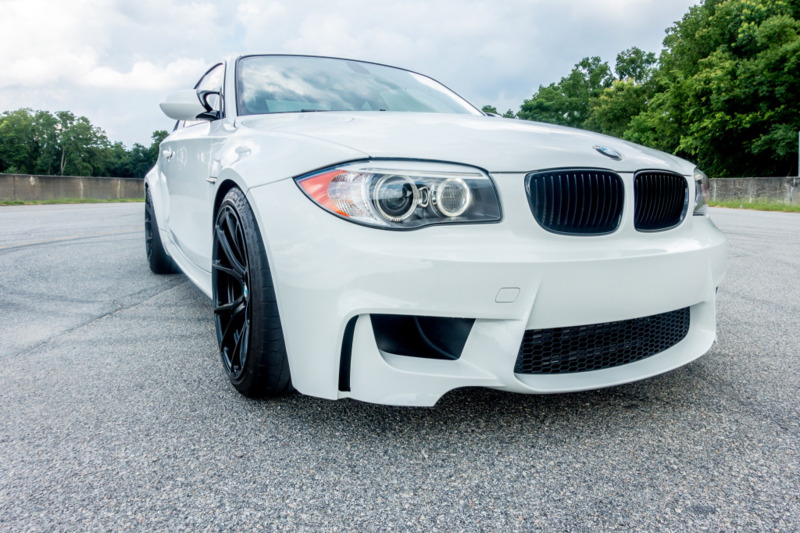 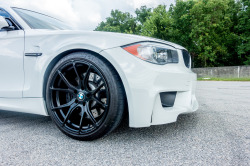 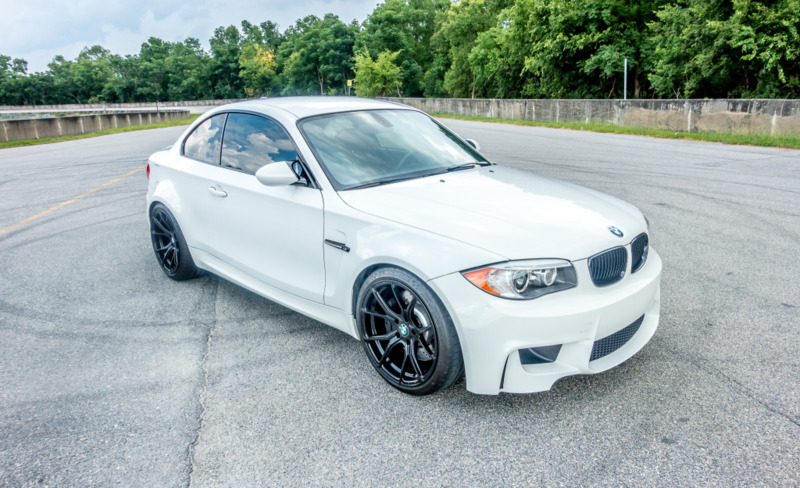 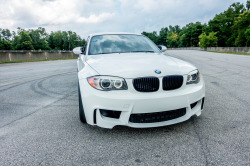 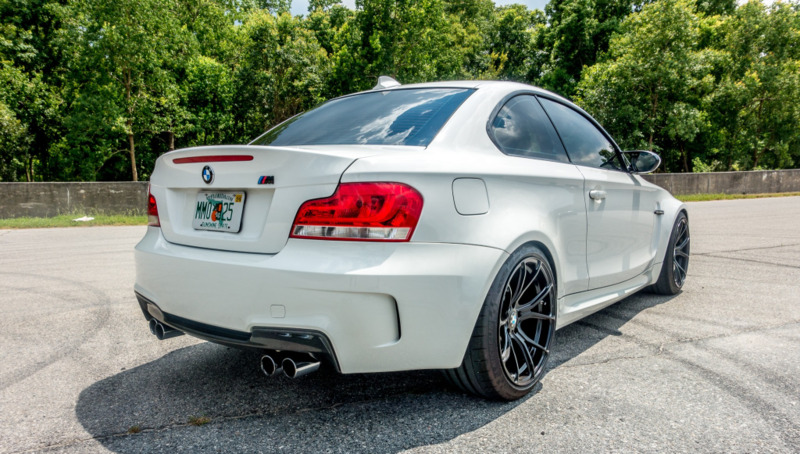 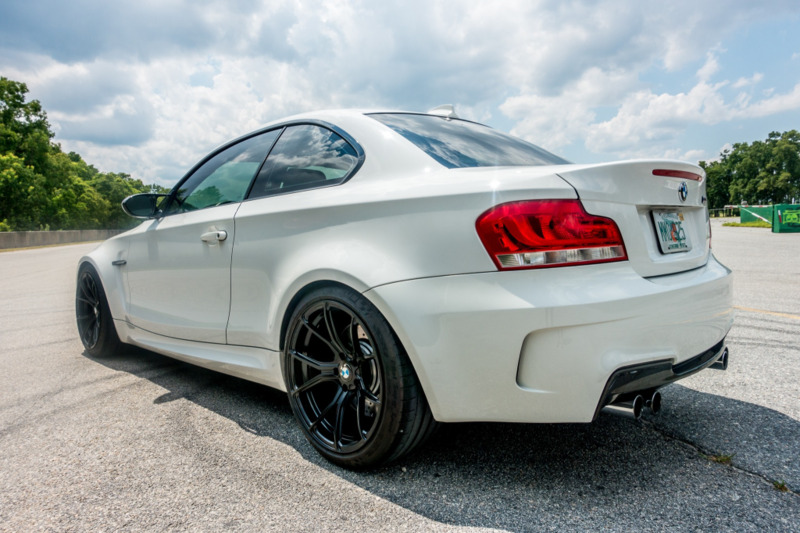 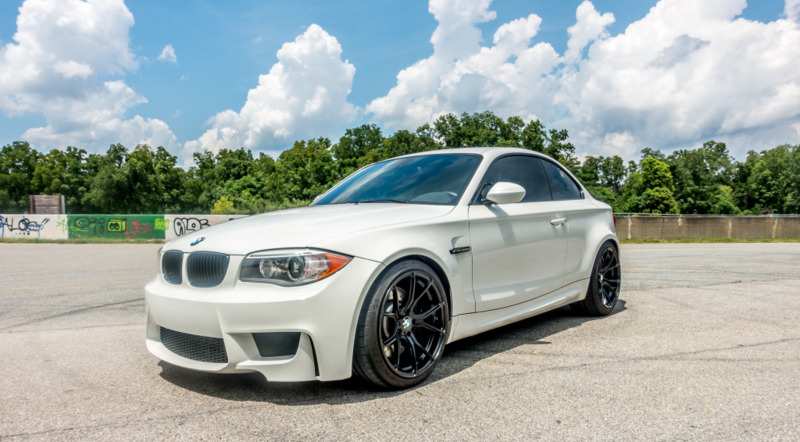 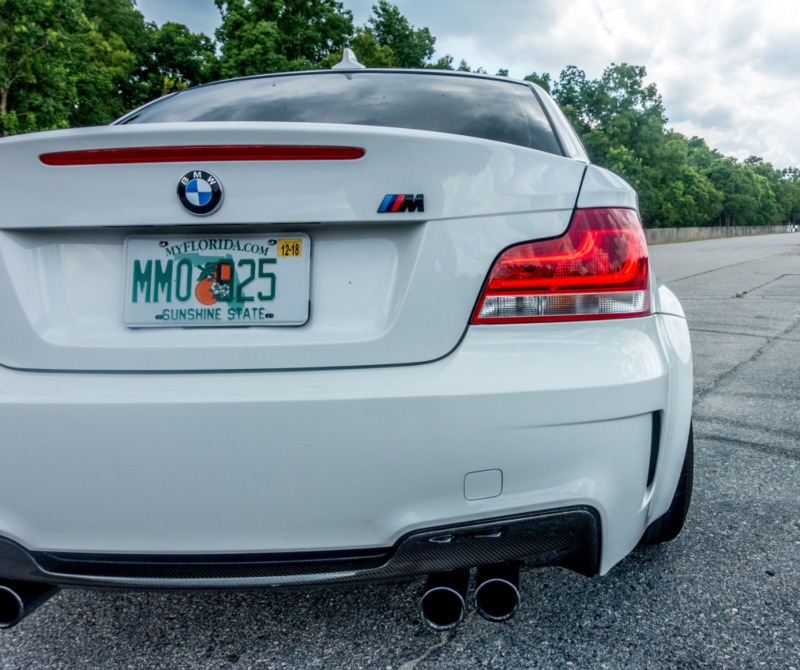 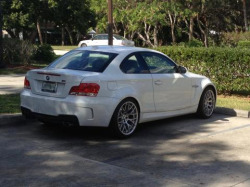 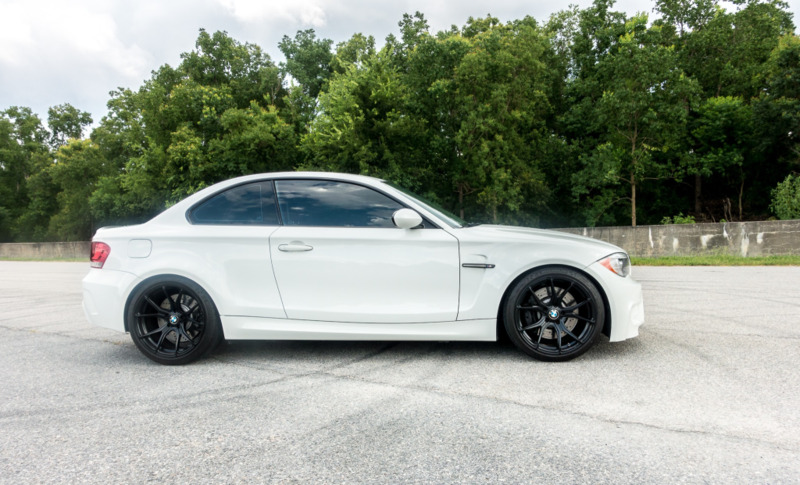 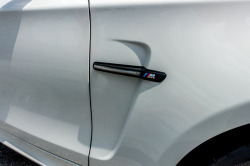 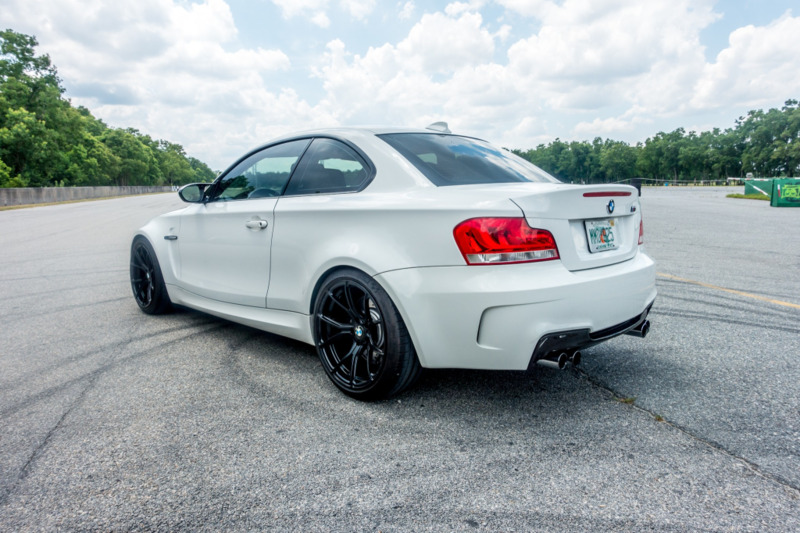 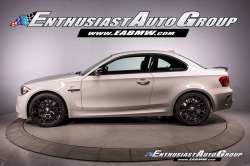 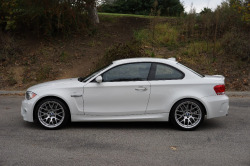 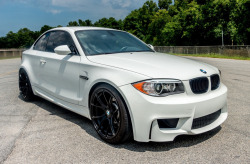 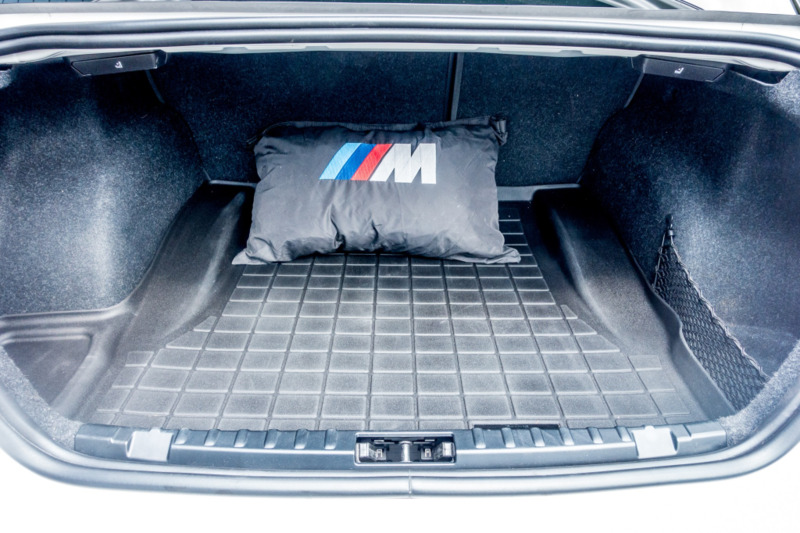 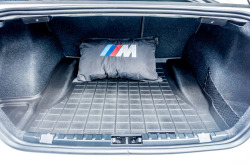 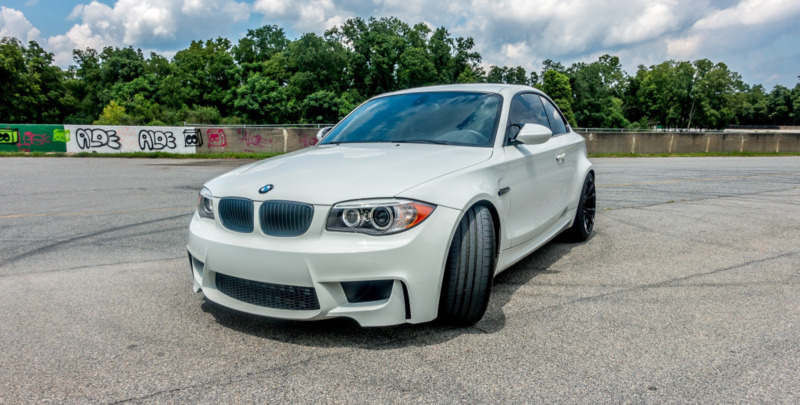 This 2011 BMW 1M is finished in Alpine White over black Boston leather and has been registered in Florida since new. 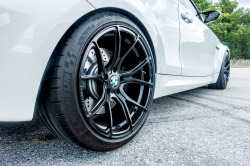 Power is supplied by a twin-turbocharged 3.0L inline-six paired with a 6-speed manual transmission, and modifications include Eibach springs, 19” Vorsteiner wheels, a Forge Motorsport intercooler, diverter valves, and more. 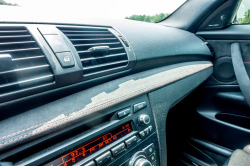 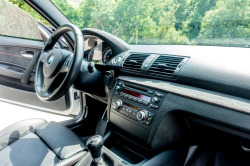 Approximately 6,500 of the 33k indicated miles have been added by the seller since acquiring the car from its second owner two years ago. 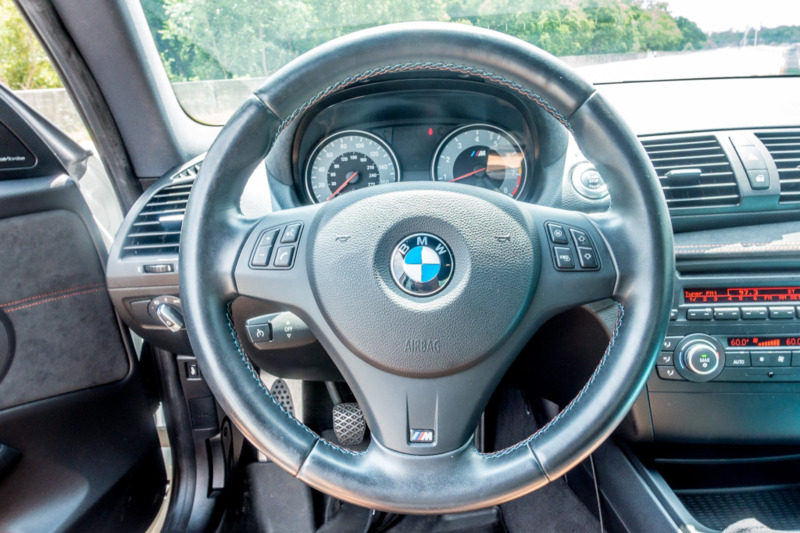 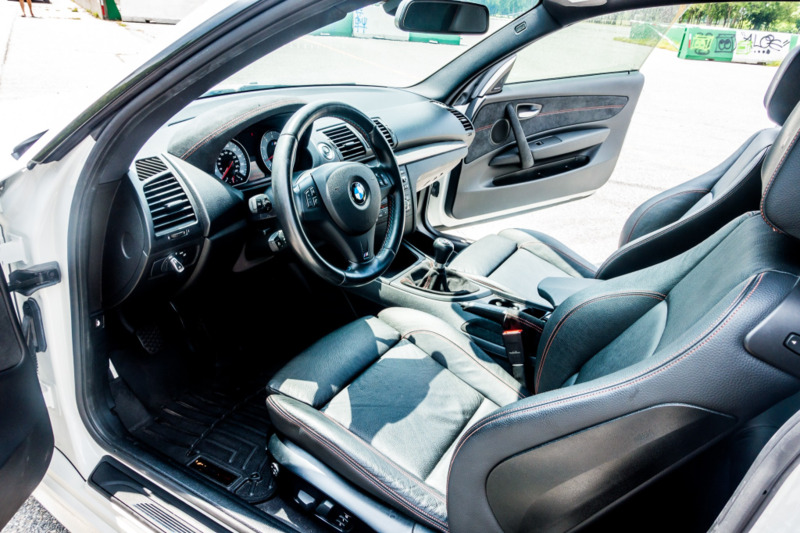 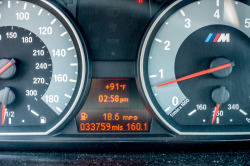 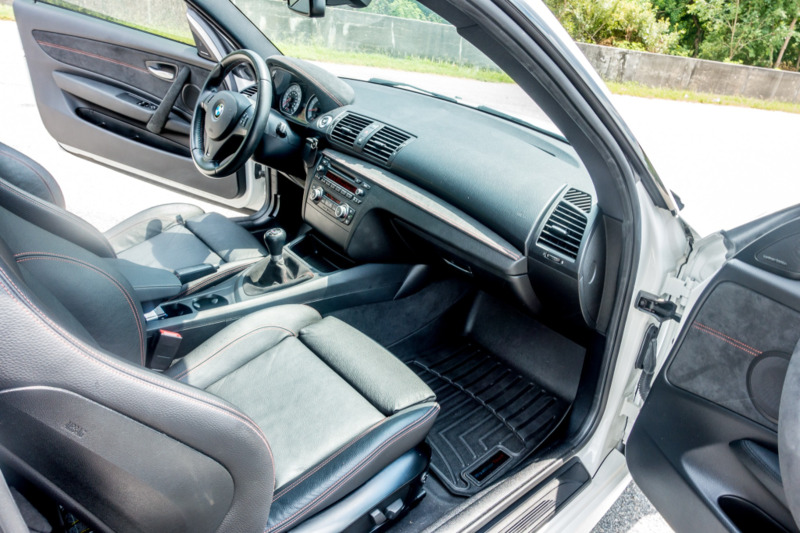 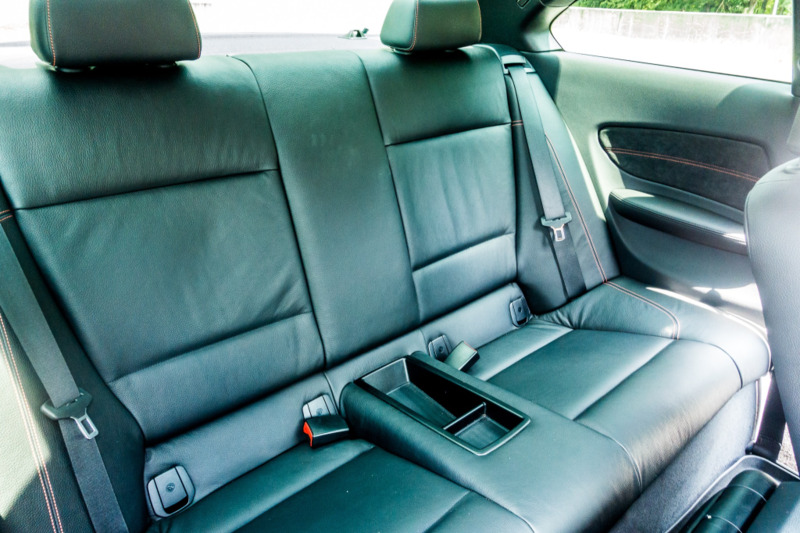 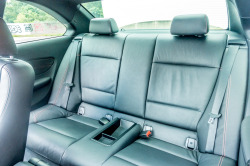 This E82 is offered for sale in Georgia with removed original parts, a clean Carfax report, and a clear Florida title in the seller’s name. 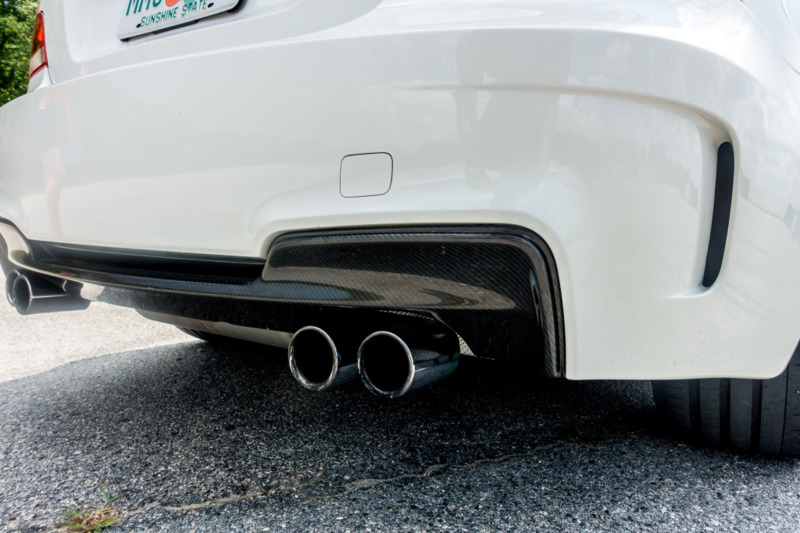 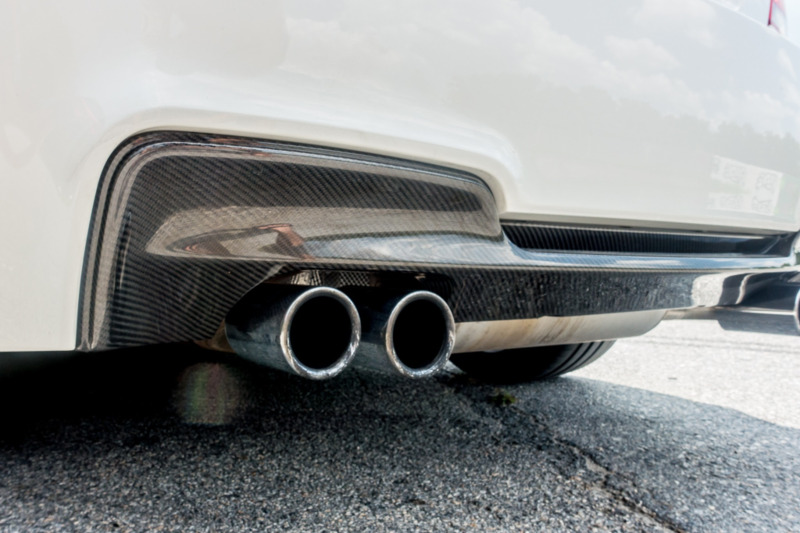 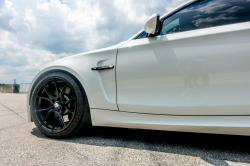 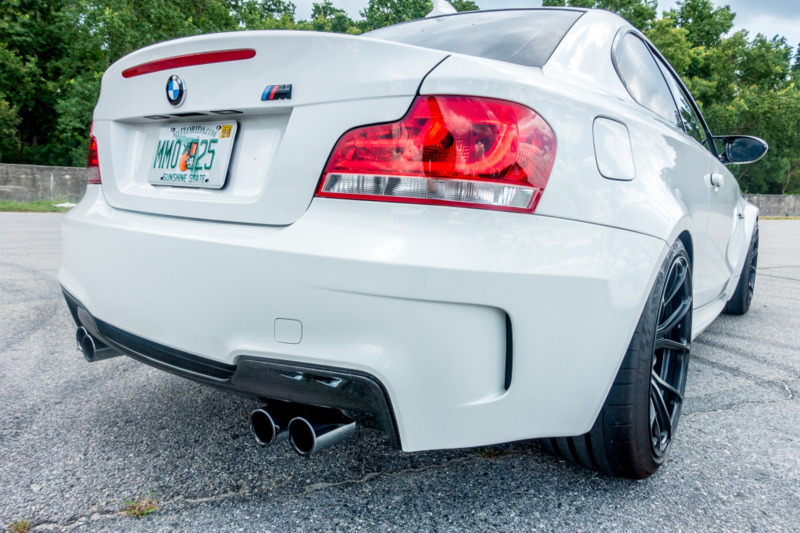 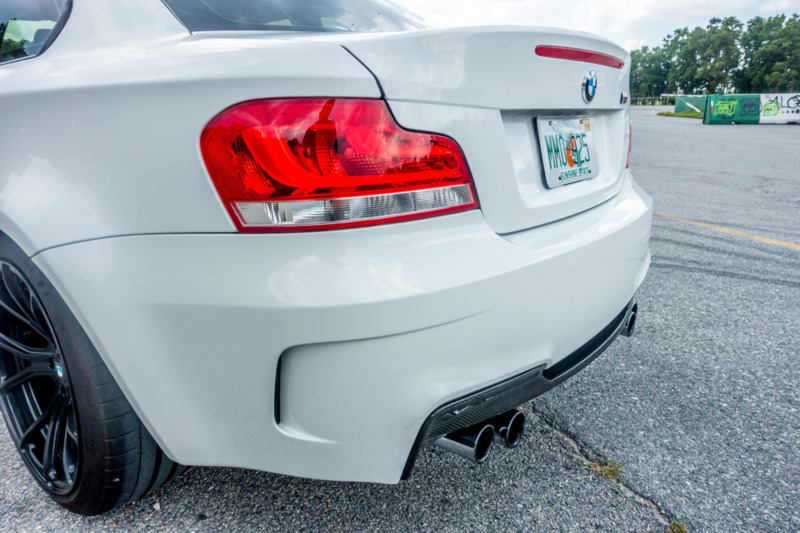 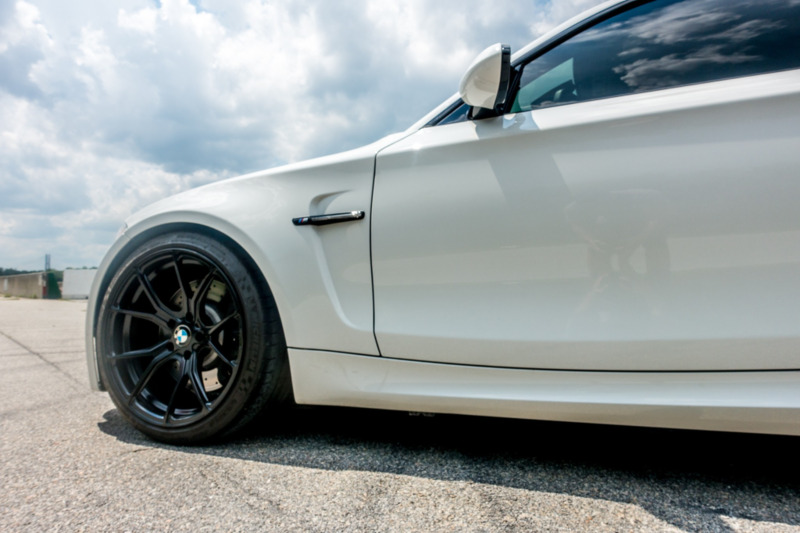 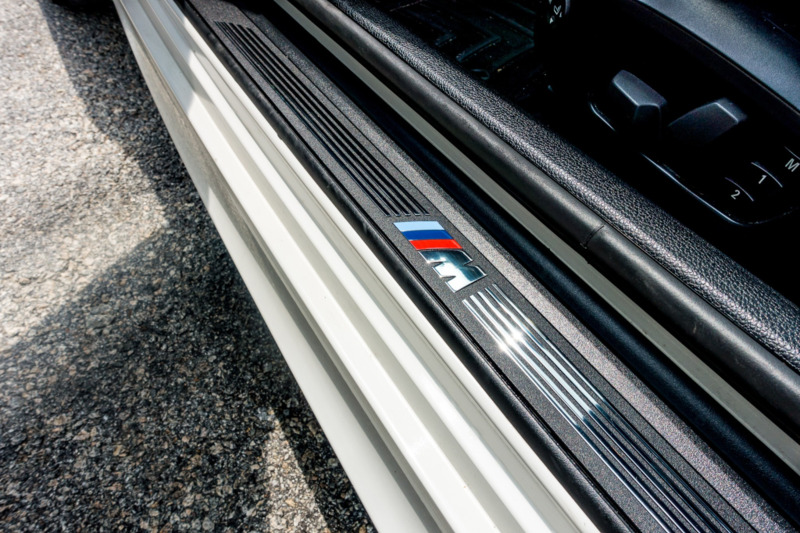 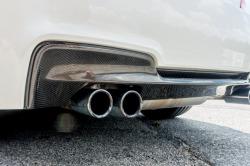 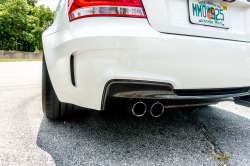 The 1M features quad exhaust tips as well as larger fender flares and more aggressive front and rear bumpers than the standard 1-Series. This example is finished in Alpine White paint, which is pictured from a variety of angles in the gallery below. No history of accidents is indicated on the Carfax report. 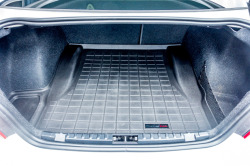 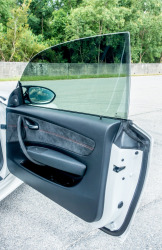 The seller installed an OEM front bumper cover without headlight washers, and the original unit is included in the sale. 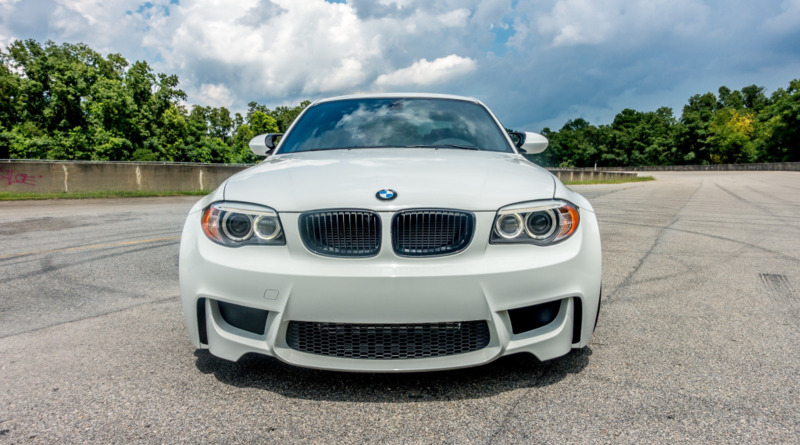 Further modifications include a carbon fiber rear splitter in addition to black-painted kidney grilles, side marker lights, and rear emblem. 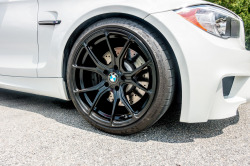 The car is lowered on Eibach springs over black 19” Vorsteiner wheels wrapped in Michelin Pilot Super Sport tires date-coded from 2013. 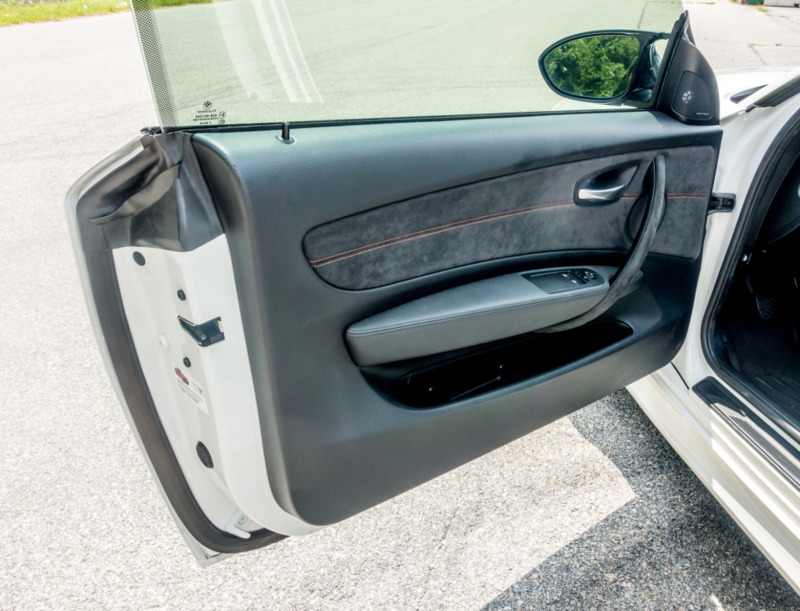 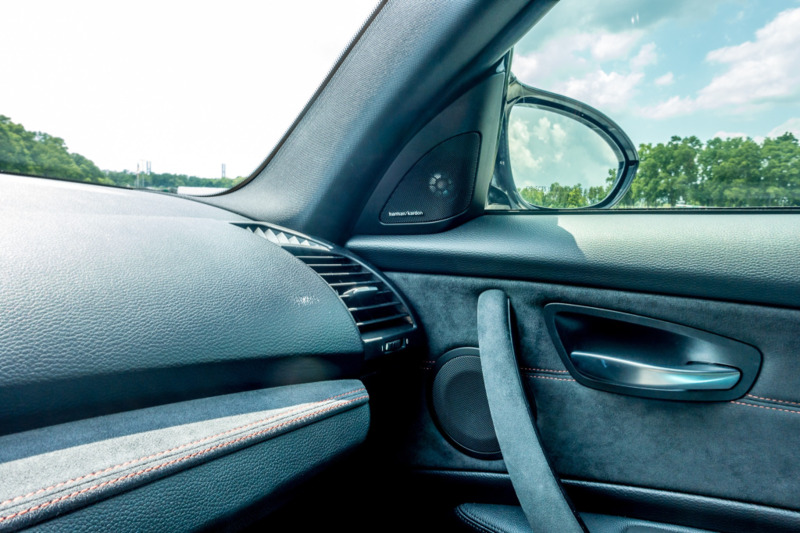 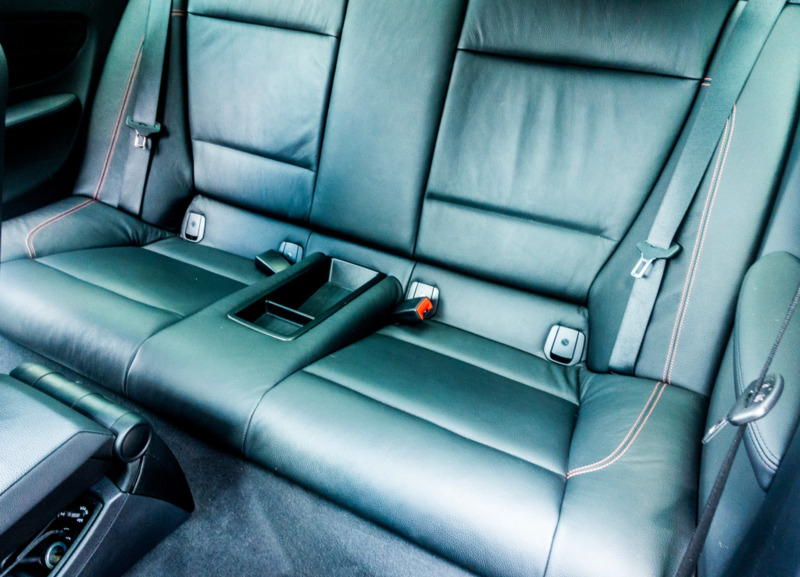 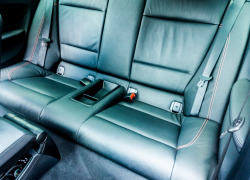 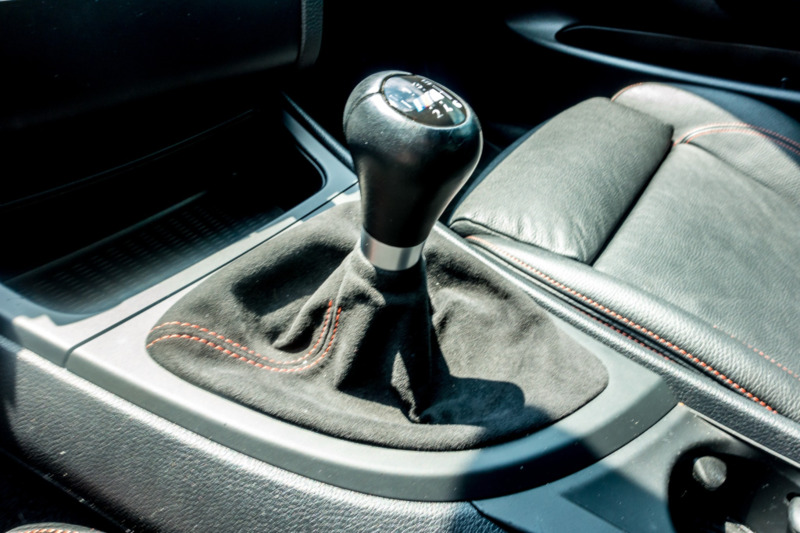 The interior is trimmed in black Boston leather with orange stitching and Alcantara accents on the doors, dash, shift boot, and instrument bezel hood. 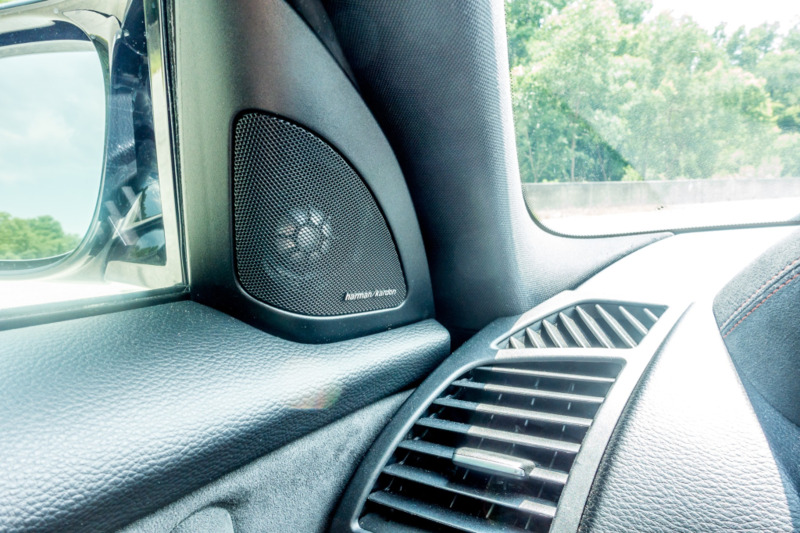 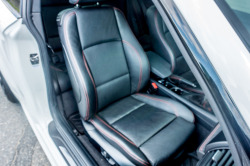 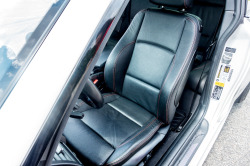 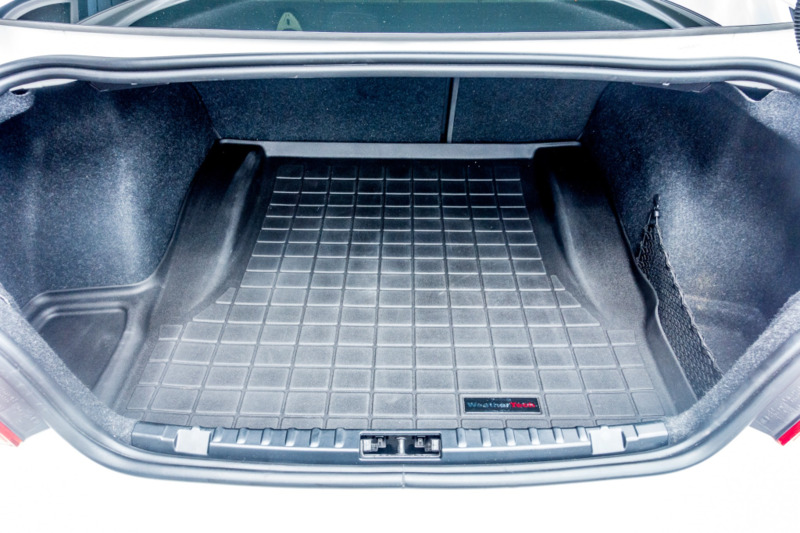 Factory sport seats are power-operated and feature memory settings for the driver. 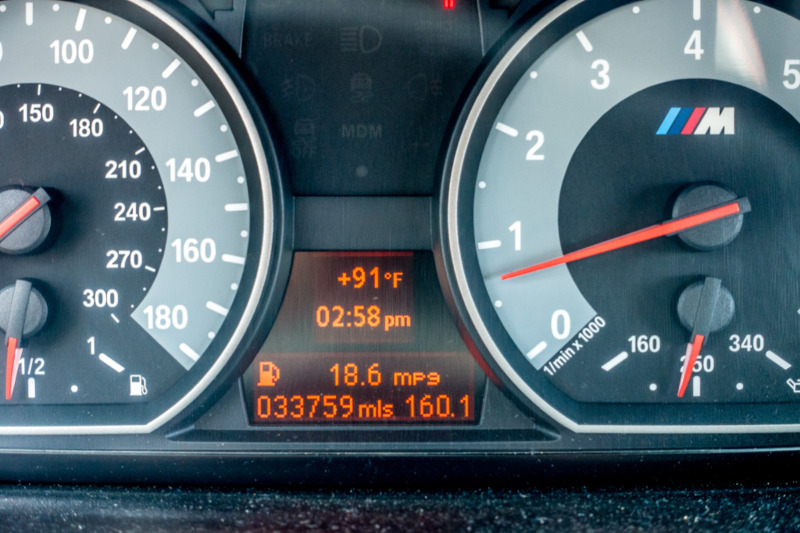 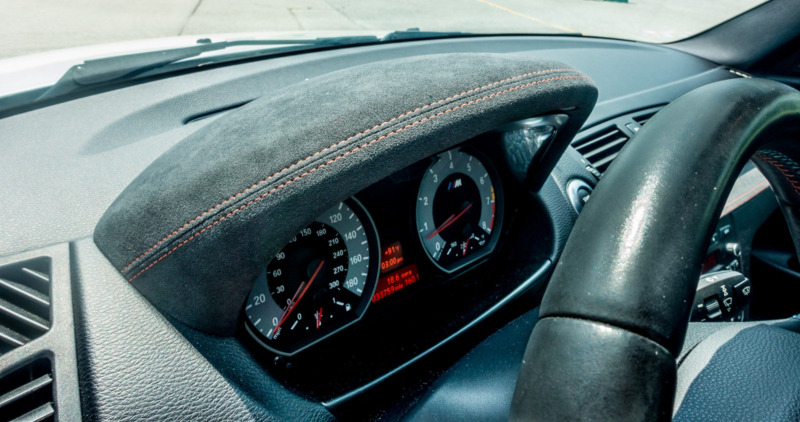 Just over 33k miles are shown on the odometer, approximately 6,500 of which were added by the seller. 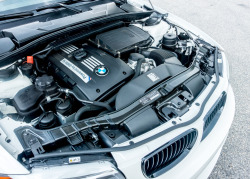 The twin-turbocharged 3.0L N54 inline-six was factory-rated at 335 horsepower at 5,900 rpm with 370 lb-ft of torque in stock trim. 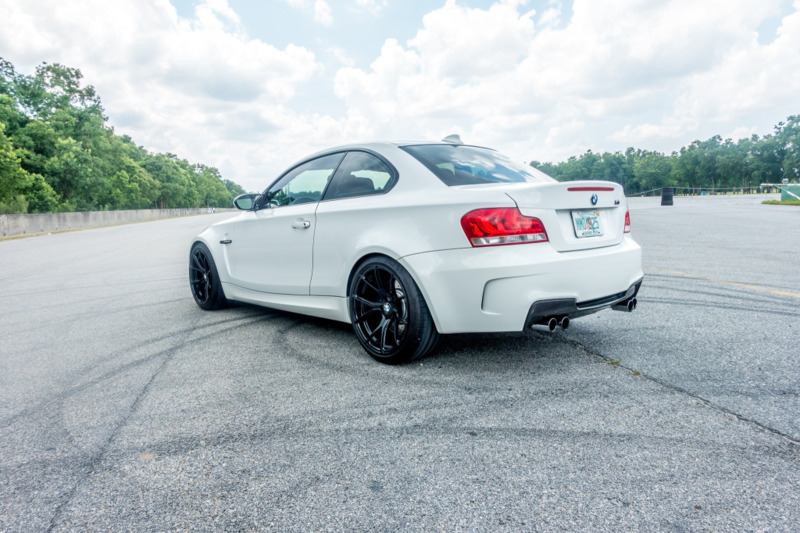 This example sends power to the rear wheels through a 6-speed manual transmission and factory limited-slip differential, and has been modified with a Forge Motorsport intercooler, Turbosmart dual-port diverter valves, ESS Tuning ECU software, N55 midpipe, and BMS oil catch can. 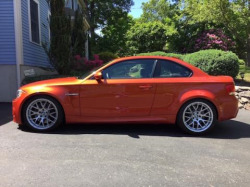 Maintenance performed personally by the seller reportedly included a brake fluid flush two months ago. 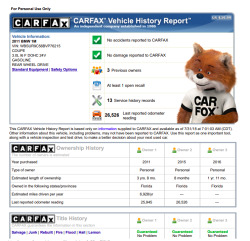 The Carfax report shows no issues and lists Florida history from new. A number of removed original parts are included in the sale.